UAE, January 08, 2019: Sony Corporation (“Sony”) will exhibit at the CES 2019 in Las Vegas, Nevada, held from Tuesday, January 8. Next to take the stage were Tom Rothman (Chairman, Motion Pictures Group, Sony Pictures Entertainment (SPE)) and Kristine Belson (President, Sony Pictures Animation, SPE). They spoke about how strong entertainment content and lasting IP are as crucial to fulfilling Sony’s vision as outstanding technology. They went on to describe how Sony’s technology and products help turn creators’ vision into reality. They then introduced examples such as Sony’s CineAlta Camera VENICE and α9 full-frame mirrorless camera that were used in the creation of TV shows and films. 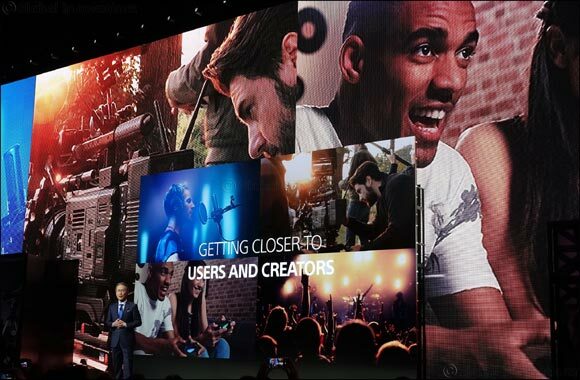 They also highlighted Sony’s new TV lineup, including the BRAVIA® MASTER Series that adapts the creators’ artistic intent and delivers content to users.